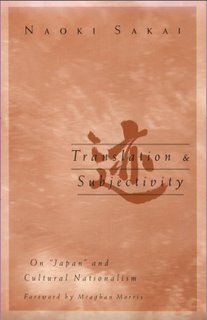 For Sakai, "Japan" is defined as that unity which stands in a translational relationship to another linguitically-identified unity. Likewise, "Japanese History" is entirely "that which arises from the activity in Departments of Japanese Studies." 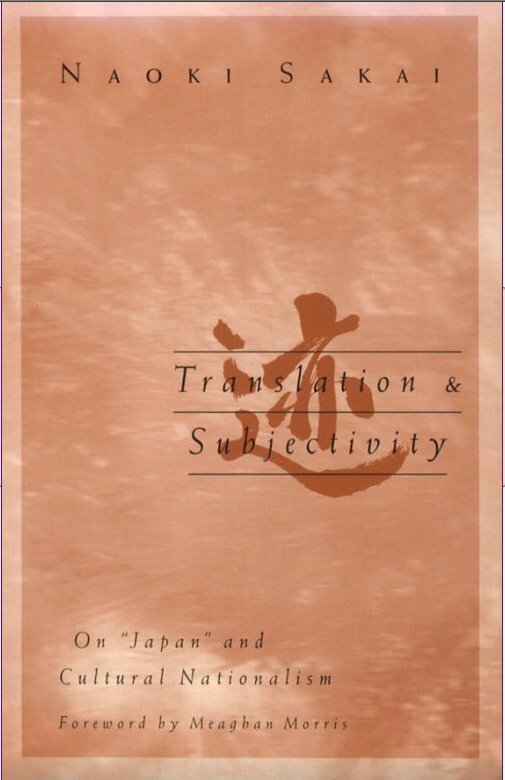 Accordingly, Japanese nationalism is explained as a reaction to the insecurity engendered by the inescapable indeterminacy in translation -- i.e. in the very genesis of "Japan" -- that affirms an (artifically) strong nation-hood with a degree of strength that matches, and thus cancels, the degree of insecurity-indeterminacy. The individual student will evaluate this metaphyic according to his or her own lights. My position is that, for an instance, it is indeed true that the category or the concept of "English Language and Literature" was created when Oxford University began that programme and that faculty early in the past Century. However, the elements of English Literature -- the books, authors, readers and bibliographia -- and the English language had definite ontological status before they were conceptualised. So, it is false, not to say peurile, to argue, for instance, that English Language and Literature were created in Georgian Oxford, though it is true to say that "English Language and Literature" was. This in the end is simply to say that we are here re-visiting the Scholastics' debate between nominalism and realism -- the age-old problem of universals.